A poster from Million Dollar Baby. The four-time Oscar winning movie stars Hilary Swank and Clint Eastwood. 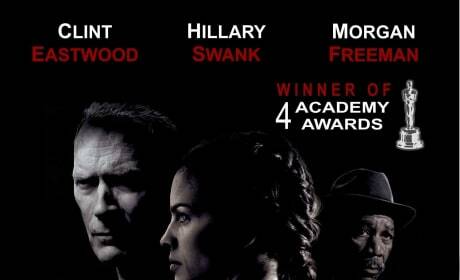 An award-winning boxing movie about redemption and the triumph of hope over adversity, Million Dollar Baby (2005) stars Hilary Swank (Maggie Fitzgerald), Clint Eastwood (Frankie Dunn), and Morgan Freeman (Eddie Scrap-Iron Dupris). Maggie Fitzgerald (Hilary Swank) gets a pep talk from trainer Frankie Dunn (Clint Eastwood) in "Million Dollar Baby." The award-winning film made a great impression in 2005. 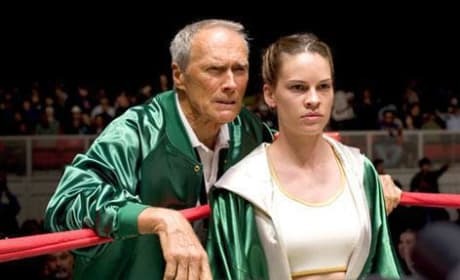 Frankie Dunn (Clint Eastwood) coaches Maggie Fitzgerald (Hilary Swank) in "Million Dollar Baby." 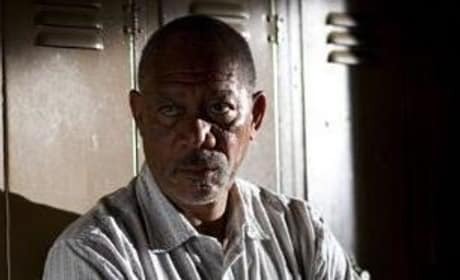 The hardened Eddie Scrap-Iron Dupris, played by the great Morgan Freeman (who won an Academy Award for the role) is one of the central characters in "Million Dollar Baby."